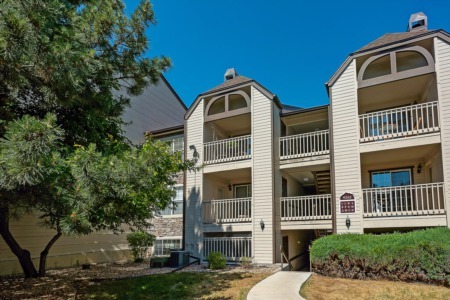 Cherry Creek real estate is bounded by Cherry Creek itself on the south, East Sixth Avenue to the north, University Boulevard on the west, and Colorado Boulevard on the east. The neighborhood is generally located in the south-central area of the City of Denver and is a mixture of dense urban development and tree lined residential streets. Cherry Creek includes two primary zip codes Denver 80206 and 80209. Anchored around the Cherry Creek Mall and the Cherry Creek North Shopping District, this upscale Denver neighborhood, is home to more than 100,000 residents. Cherry Creek is an urban area, in a suburban setting, and home to some of the best shopping, and dining, that Denver has to offer. This attractive and thriving neighborhood is named for the picturesque Cherry Creek, which runs along the neighborhood's southern border. Housing in Cherry Creek has seen an unprecedented revival during the last decade, as large parcels of prime real estate have changed hands, and many modest-sized, pre-World-War-II homes have been supplanted by luxury condominiums, town homes, and single-family residences in a prodigious array of architectural styles. Given the quality of life on Cherry Creek, real estate here is understandably expensive. Cherry Creek North is a welcomed departure from the commonplace. Set in a 16-block area located along First and Sixth Avenues from University Boulevard to Steele Street, and from Colorado Boulevard to York Street, this section of Cherry Creek is a composite of both business and residential. Properties here include mid-rise condominiums, single family homes, and town homes. The main shopping district in Cherry Creek North is an exclusive collection of more than 600 upscale shops and restaurants. Cherry Creek is actually divided into several neighborhoods. One of them, Cherry Creek South, is a prestigious residential setting, south of 1st Avenue, between 1st Avenue and Cherry Creek Drive North. “Exclusivity” best describes this area of predominately single-family homes, high-rise residences, gated town home communities, and condominiums. Some of the first prospectors into the Rocky Mountain area struck gold in Cherry Creek, and it can be said that today’s real estate developers continue working that same vein, as residents here enjoy a level of luxury and ambience reserved for a discerning few. First class shopping and dining is the hallmark of this fashionable community. Among the neighborhood’s nearly unlimited diversions are the renown Cherry Creek Mall, one of Denver’s leading tourist attractions, a fine collection of gourmet restaurants, coffee houses, boutiques, spas and salons, bookstores, and galleries that all validate this community’s opulence.